Selling a product is much easier when you have a pre-sell strategy in place. In this store, you’re likely to see some folks doling out samples of their products. Some days, these folks look kind of forlorn as they passively stand there with their sausage, ice cream, or wine samples as people politely taste their offerings and walk away. To us, it just looks like a feature that keeps customers happy as they walk around the store. To the company promoting their products, the samples have the power to dramatically increase sales. Surely samples don’t work that well, do they? If you sell soap, then a soap sample is a piece of not just the soap, but also the reason why you make that soap in the first place. If you’re writing a book, content samples give a reader insight into not only your writing, but also who you are and what you stand for. The moment before a potential client gets a sample, she has no connection to your product. But the moment she samples it, her world changes just a little bit. And the moment you decide to give away samples, your world changes a lot. Really? Is sampling that important? Samples are amazing. They’re super-duper amazing! And they’re so underrated that we need to stop and take a long look at why they’re so important. They stop the discount madness. They dramatically improve lateral growth. When you sell products or services, there’s this huge pressure to offer a discount, right? So let’s say you’re buying sausage and see a discount of $1 on the product. That’s not much of a discount on a product that costs $10. It’s easier to give away (yes, give away) 100 packets of sausages as samples than it is to sell 200 packets with the $1 discount. Giving the packets of sausage away as samples preserves your profits. Samples cause customers to choose your particular brand, even at higher prices. They stop your profits from slipping away through silly discounts. We tend to be creatures of habit. We read our favorite authors, drink our favorite brand of wine, and buy that same flavor of potato chips. Sampling breaks through all of those barriers. The sample alone forces your brain to focus and taste. And if your product or service is as good as you think it is, you’ll notice an instant change in a potential customer’s perception. The prospect is far more likely to pick up your product, use it — and then come back for more. Not just for more of that product but for every product you sell. You’ll notice a spurt of lateral growth, as well. Well, I didn’t know either. But lateral growth works like this: when you sample something, there’s a good chance you’ll buy other offerings from that brand as well. For example, one summer I stumbled upon a writer named William Dalrymple. I loved his style and attention to detail. Naturally, I went searching for more of his work. And so began the stampede. I’ve pretty much read every book he’s ever written. And that behavior of mine isn’t just restricted to my reading habits. I listen to Jack Johnson and Sting, eat a specific brand of butter, use a Mac (after 15 years on a PC), drive a certain type of car, and use amazing software like Scrivener. I can link almost every one of those products and brands back to a sample. Customers do the same: They read an author and then buy more of that author’s work. They sample a sausage and then try the rest of what that company has to offer. So when you walk around that supermarket and see that forlorn person doling out samples, you know better than to view the sample table as a sad little activity, don’t you? You know that on almost any given day, sampling absolutely rocks! How does this apply to your content marketing? Think about how you can break your content into “shippable” and “choppable” samples. Chopping a book or online course into samples is just as easy as chopping tangible items, such as cheese, bread, or chocolate. This is why Amazon.com can show a bit of a book like The Brain Audit or play a sample of an audio book like Good to Great. We can slice and dice audio, video, and text just as easily as Gouda. Let’s look at something really intangible, like a mission to Mars. How do you chop that? A magazine, such as Popular Science, could produce content with details about the space mission, problems that had to be overcome, and specific goals the project hopes to accomplish. All those little bits of information are a form of pre-sell that gets a certain audience interested in following how the mission unfolds. So, you see that even the “unchoppable” can be chopped up and presented as samples. It doesn’t matter if you’re in the business of products, services, training — or even a mission to Mars. Look for the information you can chop up and dole out in sample-sized portions. What will build enthusiasm for your offer? Samples minimize the risk of a purchase, but they also work on a whole different level because they tell a story — the story of the person, business, methodology, or philosophy. While at first glance creating samples may seem like a ton of work, you have to look at it this way: you will end up doing the work anyway. If you don’t spend time getting the pre-sell in place, you’ll have to work equally as hard to sell your product or service once it’s launched. Some of the pre-sell for Psychotactics courses start as early as six to seven months in advance. Some start more than a year in advance. Some may have just a few weeks for pre-sell, which always rushes the process a bit. A slow, but steady and consistent, buildup is always the best way to go. Sampling is one of three methods to get exposure for your brand that we discuss on Psychotactics. The other two methods are “announcements” and “snippets.” Here’s a report that shows you exactly how to move ahead with your pre-sell strategy. Customers buy long before they pay. 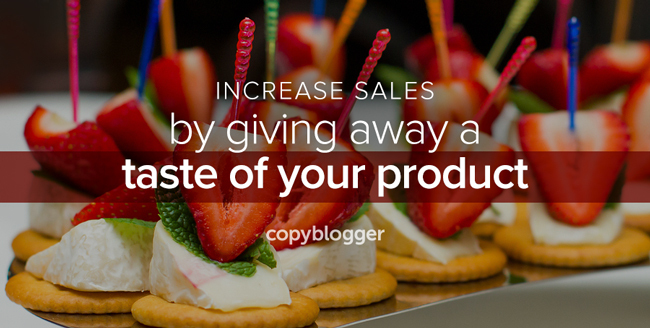 Pre-sell them with great samples, and watch your sales soar! Want to create and sell profitable digital products and services? The mission of Digital Commerce Academy (DCA) is to provide smarter ways to create and sell digital goods and services, such as membership sites, online courses, and more.